There was no Serena-like scream . . . that’s not Emma Davis’s style. But when the Cohasset senior secured the last point of a 6-4, 6-4 win over Amherst’s Allison McCann to win her fourth straight MIAA singles title, you could see the relief. Davis did what no other player has done since the individual tournament started in 1965 — she went 84-0 and never lost a set in her career. “It just feels good to be over,” said Davis. “It’s a relief. It was stressful. But a good stress.” Davis will take her game to Wake Forest. And for the first time since 2011 there will be a new champion next spring. While another spring sport was getting headlines they’d have preferred not to, the Lincoln-Sudbury boys’ lacrosse team made sure the season ended on a positive note. Led by Nick Brindisi’s five goals, the Warriors won their first lacrosse title since 1994, beating Duxbury, 12-4. “We’ve been doing things well a long time,” said coach Brian Vona, who started at L-S in 2000. “We just never got to the final end of it.” L-S finished 20-1, losing only to a New Jersey school. And did we mention the title happened on Vona’s birthday. When the game ended, students sang Happy Birthday to the coach. Best present ever. Winning a state title is special. Winning two turns heads. But winning three in one day? Until June 6 it had never been done before at the All-State track championship. 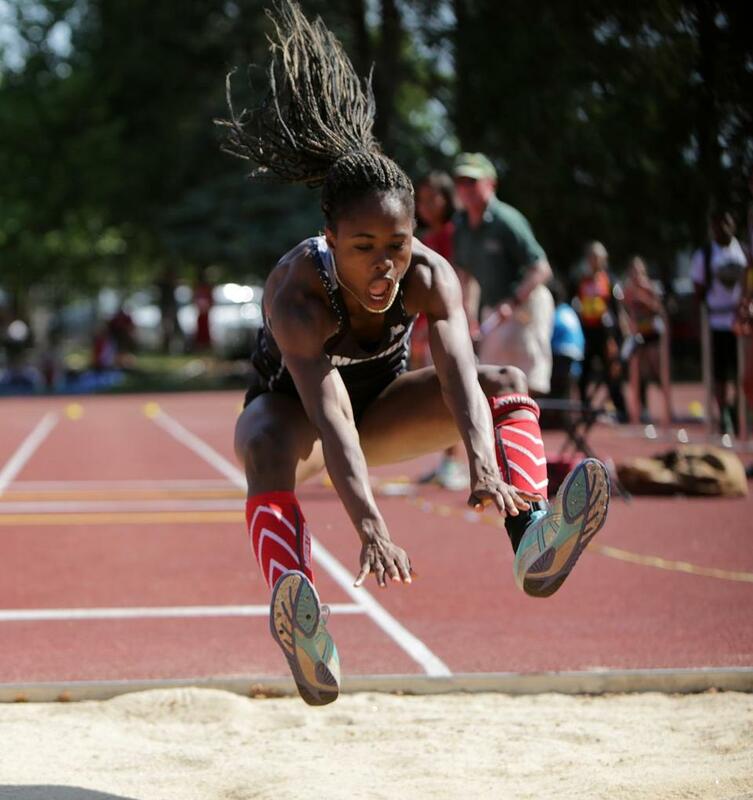 Cambridge junior Brianna Duncan made history when she won the long jump, triple jump, and the 100 meters, all after taking her SATs in Worcester and arriving to the meet late. “It was really stressful,” said Duncan. 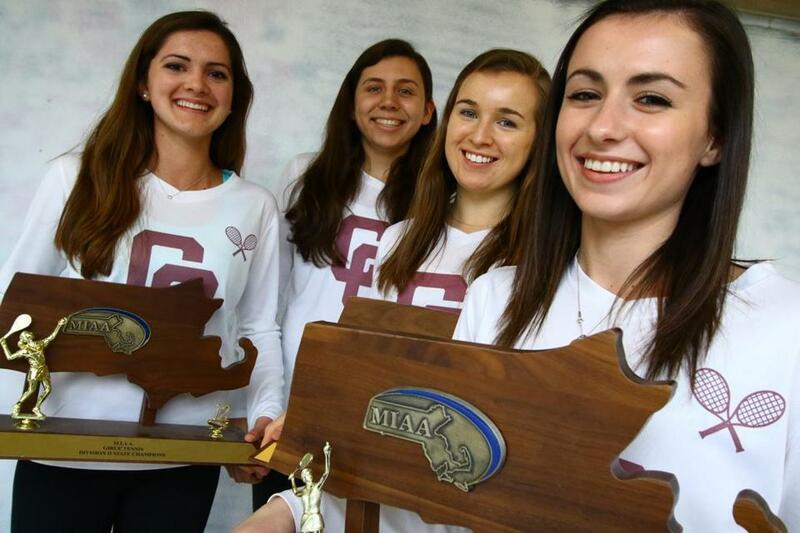 “I didn’t get any run-ups or anything.” Her efforts helped lead Cambridge to the girls’ team title as well. “I promised to [the seniors], I wanted to give this to them,” said Duncan. She did, and here’s a guess she did well on the SAT as well. 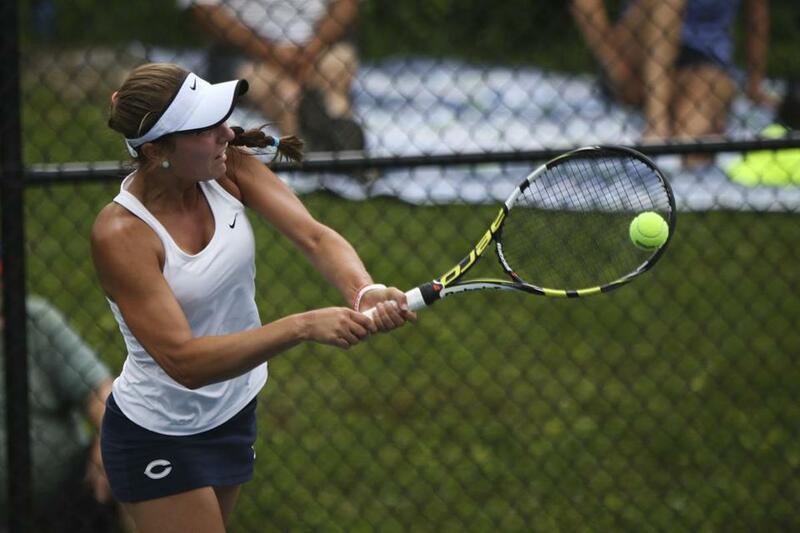 The Concord-Carlisle girls’ tennis team isn’t perfect. In their run to four straight Division 2 state titles, the Patriots lost a match. One match, a year ago. Imagine that. But this year was perfect, an 18-0 season ending with a 4-1 win over Foxboro. Over the four years, Concord-Carlisle went 76-1, led by longtime coach Doc Furey. “This is just a great group of girls to coach,” said Furey. “It’s going to be hard to actually see them go.” Bella Stone, Sophie Hibben, and Hailey Hoffman will graduate and Sarah Yang is moving to California. But Maggie Dorr, Julia Cohen, and Meredith Block will return to chase No. 5. “Hopefully we can win again next year,” said Dorr. Much has been made this year about the pace of play in baseball. But at the North sectional finals in Lowell on Saturday, June 13, the pace was anything but quick. The day started at 10 a.m. with Division 4 and ended at 1:25 a.m. Sunday with Chelmsford beating Lawrence in an 11-inning affair that started at 9:38 p.m., almost three hours after its scheduled starting time of 7 p.m. For the record, the west coast MLB games all ended before the Division 1 North game. It finished so late, the story didn’t even make the Sunday Globe. “It was a tremendous baseball game,” said Lions coach Mike O’Keefe. “It had everything in it.” And the yawns at 1 a.m.? They had nothing to do with the action on the field. Every football coach in the state fears them, even more than injuries or parents. But it’s not a team or a player. It’s the MIAA Board of Directors. With concussion lawsuits targeting the NFL, college, and high schools across the country, the MIAA’s decision-making body did something strange at its June 9 meeting. With football coaches asking for less hitting and increased safety measures for the upcoming preseason, the board voted to delay the discussion until December. Coaches understood the proposed rules but many on the board did not, and most wanted time to get the word out to member schools. Safety was delayed and the reasons are poor. When a little known but powerful committee called the MIAC voted in May to make rugby an MIAA sport starting in 2017, it surprised many in the school community. But here on Morrissey Blvd., we were used to seeing the BC High kids practicing every spring, even if we weren’t quite sure what they were doing. The vote led us to cover our first state championship, won by those same kids, 26-10, over Belmont. Clearly what we saw was a good team. “One of my friends actually convinced me that I should play,” said BC High senior Terry Cullen. “I fell in love with it. It’s the best sport.” And once we figure it out, can an All-Scholastic rugby team be far behind?